What exactly are military coins? 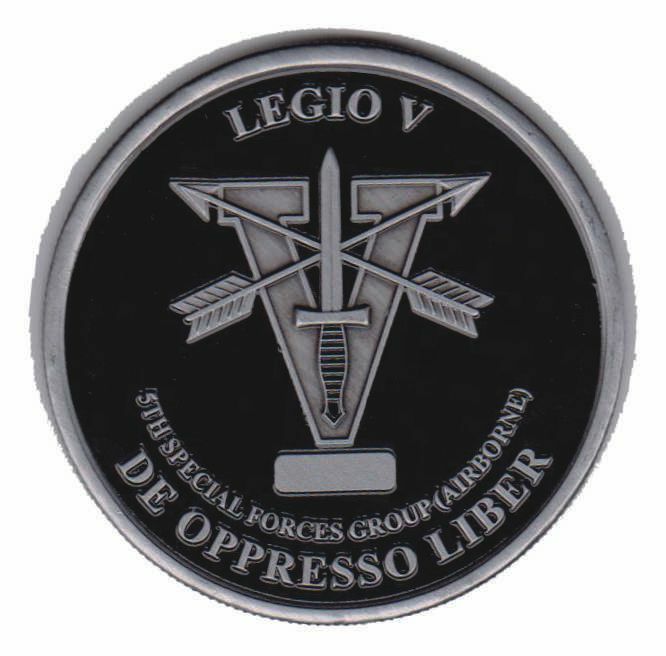 Simply put they are custom designed coin that a military unit commissions to reward individuals, create better morale or commemorate an event or deployment. Military Coins are a important tool for rewarding and recognizing the efforts of an individual. They can be used to enhance morale by giving the serviceperson a greater sense of belonging. Virtually all military people and their civilian counterparts collect and treasure their military coins. I have never met someone who could not tell me exactly when, where and by whom they were presented their coin. The origin of military challenge coins is said to go back to World War I. A group of American pilots were given these coins by their wealthy squadron leader. It is said that one of the pilots was shot down and captured by German solders. They took all of his possessions except for the leather pouch he wore around his neck containing his challenge coin. He was able to escape and reach a French outpost. Without any identification, the French captors were prepared to execute him until he showed them his challenge coin. The French soldiers recognized by the squadron insignia. Instead of shooting him they gave him a bottle of wine. Does this story represent the real origins of military coins. Look here for the rest of the story. We understand your challenges and opportunities. When you call D & R and speak to a fellow veteran. A retired soldier. One With 20 years of experience in the military and near that making coins. You can be sure that you will find someone who understands what you are trying to do. And you will find someone who is committed to helping you accomplish your mission. Contact D & R Military Specialties for suggestions how your unit, organization or command can help you hit it out of the park. I am frequently asked why military units change their coins so often. Well there are a lot of reasons as you know. Why don’t we try to create one that will live forever in he history your organization. The very first unit in the U.S. Military to officially have a military coin was the US Army Special Forces (Green Berets) in 1952. We have been producing the finest military coins and challenge coins since 1997. Let us put our expertise to work for you. As former military members we know how important your coin is to you.